Each time an artist sits down to create for a client or for themselves they enter into an amazing and mostly solitary world. A world they are driven to and passionately reconnect with over and over again during their lifetime. To not simply spend their time to “recreate” the creative talent instead will dedicate their lives nurturing their talent and developing their voice, their style and their unique reason to stand out on the landscape. 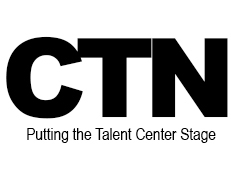 This is the story of CTN. The story that goes deep inside these industry influencers giving you access to their worlds.